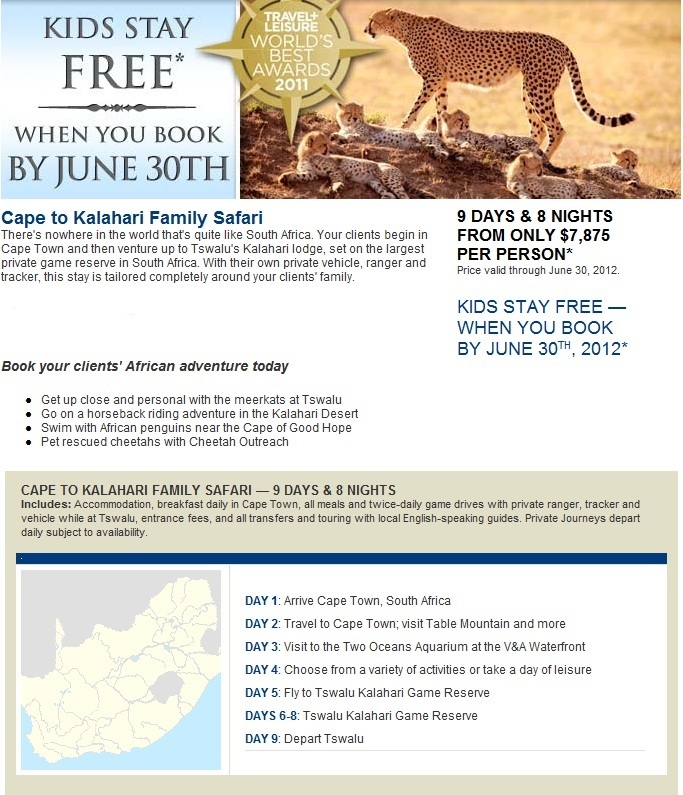 Call 1.800.330.8820 or click here to have an Africa Travel Specialist contact you with more information about booking this South Africa Family Safari Vacation. Mention promo code:CKWS. ~ by travelwizette on June 5, 2012.